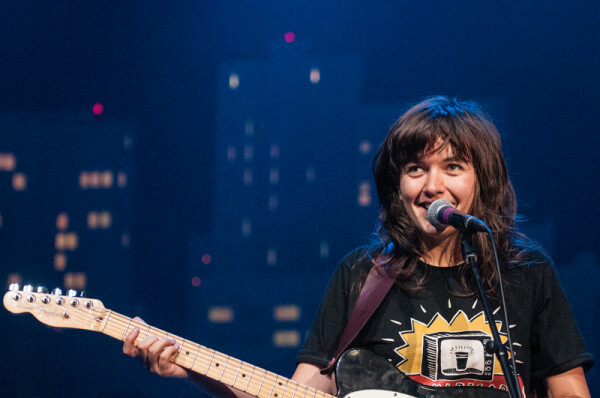 Austin City Limits showcases two of today’s most original and exciting live acts: Grammy-winning songwriter, vocalist and virtuoso guitarist Gary Clark Jr. and singer-songwriter Courtney Barnett. Two talked-about artists worthy of the buzz, both rising stars have gained recognition around the globe for their dynamic live shows. 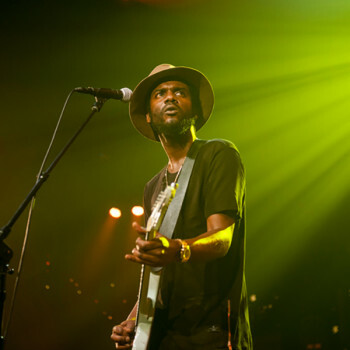 Austin’s Gary Clark Jr. arrives on ACL’s stage at the top of his game for his second headline performance, showcasing songs from the acclaimed new top-10 album The Story of Sonny Boy Slim. The young Texan has had a whirlwind ascent from the Austin club scene to earning slots on festival stages, on the road with superstars Foo Fighters and his own headlining tours. 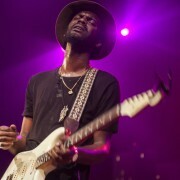 The LA Times hailed him “the most exciting blues-based experimentalist since Jack White.” Clark writes another chapter to his story with this appearance, firmly establishing himself as a sonic force of nature in a confident, blazing five-song set filled with searing, soulful new songs. The guitar phenom opens with a new album highlight “Grinder” and demonstrates his astonishing musical chops with scorching renditions of the deeply personal originals. Closing the thrilling set with the uplifting, gospel-infused anthem “Healing,” Clark sings with newfound passion, owning the ACL stage and receiving a heartfelt standing ovation. 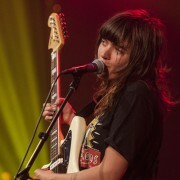 Australian singer/songwriter and guitarist Courtney Barnett released one of the most arresting music debuts in years, 2015’s Sometimes I Sit and Think, and Sometimes I Just Sit, and received critical acclaim in spades: Rolling Stone hails Barnett “one of rock’s most beguiling young stars and deftest lyricists,” calling the album “2015’s sharpest debut.” Paste says she’s “one of the most charming, whipsmart performers currently touring the world,” and NPR raves “the new album will thrill any fan of smart, biting guitar driven rock,” calling her “the best lyricist in rock music today.” Spin calls it “one of the most thrilling albums you’ll hear this year,” and hails the garage rocker a “goddamn rock star.” Riding the wave of media acclaim, Barnett proves she has the talent to match in her standout ACL debut. The six-song set is a great introduction to her signature style: mixing straightforward, four-chord crunch with witty, often hilarious, occasionally heartbreaking observations with unflinching self-assessment. Aided by her tight band featuring bassist Bones Sloane and drummer Dave Mudie, she brings the ACL set to a crashing close with the crowd-favorite single “Pedestrian at Best,” proving she’s nothing of the sort, but one of the most distinctive and compelling new voices in modern rock. Tune in this weekend for this episode, and, as always, check your local PBS listings for the broadcast time in your area. Go to the episode page for more info, and don’t forget to click over to our Facebook, Twitter and newsletter pages for more ACL info. Next week: high-powered rock and soul from Alabama Shakes and Vintage Trouble.